Ron will be covering each stage of direction, beginning with pre-production work: analysis, research, style, working with the production team on design issues, and coordinating with the producer within the realities of rehearsal and theatre spaces, budget, time-line, personnel and resources. Then he will address auditions and share his half-century of experience casting productions in a wide variety of theatrical genres. Next, he will work through the stages of rehearsal from first read-through, table work, advice for blocking, running scenes and the full show, adding technical elements, dress rehearsal, opening and running the show and the post-mortem. Participatory exercises are a big part of this element: physical and vocal exercises, improvisation, exercises for character development, channeling ensemble energy and exploring the emotional arc of characterization. He will also cover effective methods of giving acting and technical notes, and team-building within an artistic vision. Ron is well-known in community theatre circles as an adjudicator, director and workshop leader. 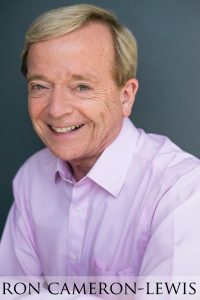 He draws on decades of experience with the Music Theatre Department at Sheridan College, its sister program in Theatre and Drama Studies at the University of Toronto at Mississauga, and several summer stock theatre companies from Ontario to the Maritimes.